Remember this book? I reviewed it last week. In case you missed the news, I loved it. 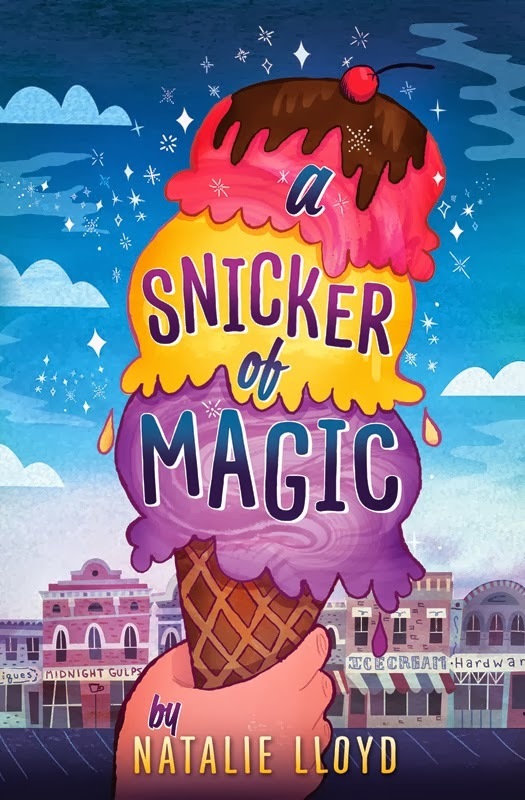 A Snicker of Magic by Natalie Lloyd caught me by surprise and delighted me endlessly. I was so excited about it that after publishing my review I checked in with Scholastic Books and they offered to give away not one but THREE copies to three of my readers here at Reading to Know! Would you care to win one of these copies? I like to keep things simple: if you'd like to be entered, simply leave a comment below (including a valid e-mail address). This contest is open to U.S. Residents only and will be open through Wednesday, March 12th. Best to you! Thanks to Scholastic! That's awesome! Thank you, Scholastic! Bethany and I are both interested in this one. I want to read this! It sounds really interesting. My kids want to read this book! Me! Me! I'd love to win. This sound like something just up my alley, and then I can regift it to my little nephew and family :) And this time I will leave an email address... msmarthelm where the mail is hot! This sounds really fun! I always have room for another book! It looks like a great book. I would love to win a copy. Thanks for having the giveaway. I might as well try my hand again. This one sounded like a lot of fun.